The time for the income tax return submission expires at the end of March. It is necessary to submit the tax return on a valid form. Although only forms in the Czech language are accepted, you can see and compare the English translation of the income tax return form and the instructions for ﬁlling out the income-tax return form. For more tax return forms and supplements, click here. A tax return can be submitted at whatever office of the Financial Authority without any respect to your local affiliation. The majority of foreigners living in the Czech Republic are employed and probably have already been informed about the possibility to apply a personal tax reduction. What is less known is the possibility to apply tax reductions for children, spouse, study and reduction of tax base for allowances such as charity donations, interests from mortgage, pension and life insurance contributions and others. In year 2015 there is quite new personal tax reduction for kindergarten expenses paid for your children. The reduction goes for to the actual price charged by the care taking service for up to 9,200. Different tax reduction rate is applied for first, second or third child respectively. A “solidarity tax” has been introduced three years ago for all people who have a monthly gross salary higher than CZK 106,444. Even if in a single month only, such tax payers pay additional 7% (on top of flat 15%) of the amount exceeding the monthly limit. In addition to that, they have to always file their tax returns to the Financial Authority themselves, without any respect to their tax residency. The employer cannot legally do that for them. 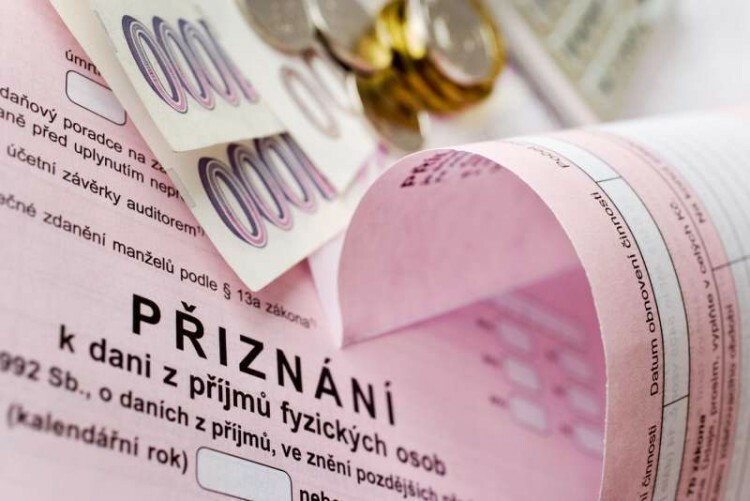 Tax payers who only exceeded the above mentioned limit for the solidarity tax in some months and otherwise the yearly income was lower than CZK 1,277,328 may have the solidarity tax returned. Many taxpayers make a common mistake in determining their tax residency according to the length of their stay (183 days) in the country. The definition is included in a local and also in most foreign income tax laws. The majority of foreigners living in the Czech Republic come from so called “contractual countries” which means that the Czech Republic concluded with their country of origin a Treaty for the avoidance of double taxation (Double Taxation Treaty) with a higher force than local laws. Article 4 in each of the treaties defines a tax residency in 4 descending steps and in a quite different way than local laws. According to the conventions, you become a tax resident in a country 1) where you have your own or rented flat 2) where your personal and economic relations (center of vital interests) are, 3) where you usually stay, 4) of which you are a citizen, or 5) where competent authorities come to such an agreement. This article has been written in cooperation with Michael Hájek from Bell Consulting. It’s that time of the year again – the deadline for the income tax return. Make sure you submit it right – see the English translation and instructions on how to ﬁll it out!